In the warm afterglow of David de Gea’s stellar Wembley performance the elephant in the room is more imposing than ever. It is self-evident that the club need to secure the services of the world’s number one keeper for the foreseeable future and this needs to be done sooner rather than later. The same is true of fan’s favourite Anthony Martial, who like De Gea has had a one year extension triggered on his contract. Whilst it is certainly not panic stations, there has to be concern that both players to date have not put pen-to-paper. 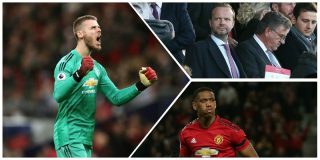 It is unthinkable that United would consider letting either De Gea or Martial to leave on a free transfer at the end of the next season, so the commercial reality is that both would likely leave Old Trafford this summer unless Ed Woodward can strike the deals within the intervening few months. During his time in England David has developed a close affinity with United and the fans. That said he did make the decision to leave in 2015 and only the failure of the legendary fax machine has allowed us to retain one of the best keepers in the club’s history. However, there is always the worry that having made the decision previously David could finally make the break once and for all. I probably speak for many in the belief that the club museum should already have that fax machine in pride of place. On the surface indications from the club are positive and there are certainly no obvious alarm bells coming out of Old Trafford. 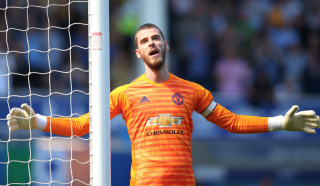 Social media posts from De Gea have certainly reflected a player committed to the United cause and you get the impression that David is really invested into the United lore and tradition. In contrast to last summer’s World Cup campaign, which exposed some fissures between De Gea and his critics at home, many of whom felt that De Gea was to blame for at least one of Ronaldo’s goals in their opening encounter in Russia. There is no doubt that he was rocked by this criticism and there must be a renewed desire to prove himself to his domestic audience, whether justified or not. 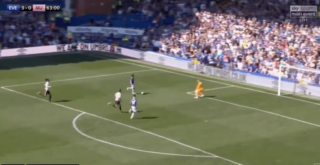 That being the case, the thought of not playing Champions League football next season must raise concerns for a keeper conscious of the need to be in the spotlight at the highest level. So if De Gea was to leave in the summer it is likely that not playing in Europe’s premier club competition would have a large bearing on his decision and may explain why he has not already signed. Talk in the media has thrown around numbers but surely it would be inconceivable that United would not pay him want he is asking, particularly if the comparatively ‘modest’ sums discussed are to be believed. The international career of Anthony Martial has also been recently thrown into jeopardy. 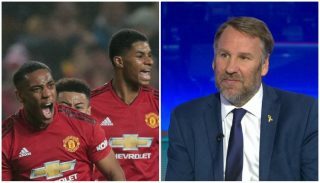 The exclusion of Martial from the World Cup winning French squad marked a low point in the striker’s career and noises from his agent unequivocally put the blame full-square on Jose Mourinho’s shoulders. It must be a constant source of frustration for Martial, missing out on a potentially once-in-a-lifetime opportunity to achieve legendary status as World Cup winner. A tension that must be tested the max given his proximity to team-mate Paul Pogba who, let’s face it, has not exactly been shy about advertising his summer success. This season’s campaign has seen the goals and appearances flow for Martial, José was in no doubt about the players unease and the club hierarchy likely played an intermediary role in helping placate a player reportedly at odds with his manager. Indeed for periods Martial seemed to be in favour ahead of Marcus Rashford, but latterly under Solkjaer’s guidance we have seen both players working in tandem to lead the attack. It is understood that United will do everything in their power to keep the mercurial French prodigy at Old Trafford. The recent upturn in performances must help instil some confidence in Martial and his representatives about his future prospects with the club. 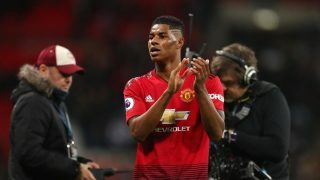 Again there is the concern that Champions League qualification may play an important role in determining where he will play next season and beyond. 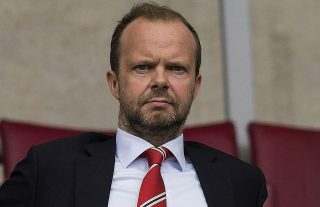 The responsibility now lies with Woodward to eliminate the doubt and get the contracts signed for both players ahead of the summer. The longer this drags on the more unsettling it will become for fans who will brace themselves for further newspaper speculation linking two of our most talented imports with rivals abroad. It is definitely a worry that this has not already been resolved, and a failure on Woodward’s part to let one or both players leave United would likely prompt serious questions about his own future.